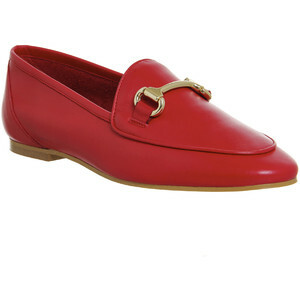 .....well it would be rude not to snap up these Gucci tributes from Office wouldn't it?! There is 20% off using code OFFICE20 online and I popped in to a store yesterday where they also had 20% off selected styles. These are £52 after discount and free P&P! They come in 2 other classic colourways, black and red! I would love a pair of each but I've gone for the white. I ordered on Tuesday...they arrived yesterday and are gracing my feet today! Just a quick post from me today to share the new shoes so you can take advantage of the discount too! 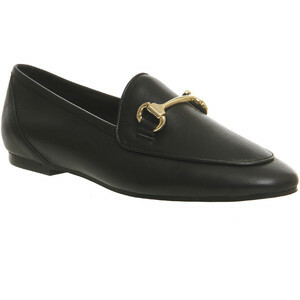 So....have I tempted anyone with these Gucci-esque shoes?? Ooh I love these Michelle, especially in the white...such a cool look, and great price too? I may well be tempted! Great outfits as always...loving your Topshop trousers, and that fab Jacksons bag too! more holiday capsule suitcase sharing! modern twist on a classic white tee! is it safe to talk summer dresses yet?